"This is the trick; this is how magic is done: by hurling yourself into the abyss and discovering it's a feathered bed." The Love Without End Tour is humming along nicely, shapeshifting in mid-air from music to live painting to public speaking to synchronous personal conversations and back without losing its lift, as I cross country learning to take what I know about trust and actually live it – to remember to b r e a t h e through the chaos and intensity – to be a gyroscope. Taking my shoes off and standing barefoot on the bare Earth at least once a day, feeling the world alive beneath me. Capturing each spontaneous opportunity to make a new friend, and delighting in the brilliance and beauty of each human connection. Savoring my food. Listening to the uncanny, symphonic correlations between neighbor's conversations and my own, wondering at the transcendental zeitgeist washing over us all at once...the quality, the spirit of this moment that we are all expressing, half-aware. Everywhere I go, people feel it changing. People are being stripped of their delusions, their barriers; the critical turning point is behind us now, if you haven't noticed. We're barreling headlong into the midst of it. Here are the glowing fragments that have burned off of me as I streak through the skies of this divine mystery on my descent into its irresistible field: a new talk on the cosmic context of our humble human dreaming, and an entire array of new paintings that trace the elusive essence of some of the most legendary events I have ever attended. Get yourself a glass of water and a comfortable seat...this is an epic update, and even after we'll still not be completely caught up (...so stay tuned for another update soon, with live paintings and body art from the Jazzfest afterparties, my shows in Texas with Shpongle, and The Whole Earth Festival...as well as the long-belated musical recordings I've gathered over the last few weeks!). Every month, members of the online social network Evolver.net in over thirty-five cities across the globe hold "spores" to ground the community in embodied human interaction. Each month, a new topic is chosen and discussed by everyone in attendance. Activities and exercises are offered. Multimedia performances are delivered. It's a largely free-form affair, held together by context of the members' common interest – the marriage of ancient and contemporary knowledge to find sustainable solutions for our global crises, and maybe even a new humanity in the process. First of all, I have to issue an apology to everyone whom I assured that all of this work would be coming "really soon." California has been a fractal tangent, and I'm honestly amazed I finally got all of this stuff up online at all. Here you finally are...enjoy! 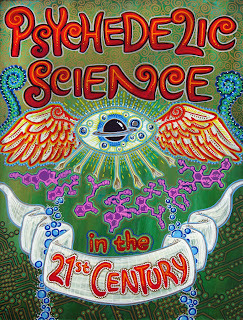 paint pens on masonite - 18"x24"
This painting was my ticket into the Multidisciplinary Association of Psychedelic Studies' Psychedelic Science in the 21st Century Conference – the biggest and most significant U.S. convention on the topic of medical psychedelic research in the last forty years. This conference, which featured presentations from heavy-hitting doctors like Stan Grof, Charles Grob, and Ralph Metzner, got major positive press from the mainstream media, including CNN – it was utterly surreal to see such stigmatized work painted in a friendly light. 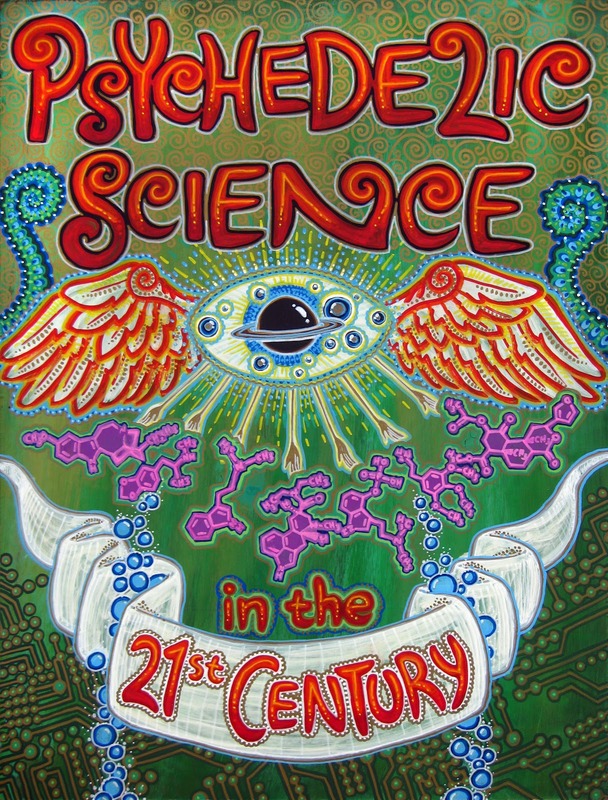 But the times are changing, and the evidence is inarguable: psychedelic chemicals do really offer a powerful method not only for self-exploration in a controlled environment, but also for the treatment of post-traumatic stress disorder, addiction, and the fear of death. We are swiftly approaching cultural acceptance for the responsible use of these potent chemicals, tempered by the hard lessons of the 60's and 70's, and informed by the new techniques and ideas this morning century has to offer. I had to be there. Vending was too expensive. So I sweet-talked the staff at MAPS into letting me design them a "psychedelic concert poster" for the event that they could sell for their benefit at the conference gift shop...they were trying very hard to maintain a professional get-up, so it took a little work. Ultimately, I ended up raising them over $1000 from the sale of the original painting and the donated first 50 of 180 prints...several hundred more than the cost of the booth space. This money goes toward fighting the good fight to legitimize the therapeutic and medical use of psychedelics. I couldn't be more pleased with the synergy. 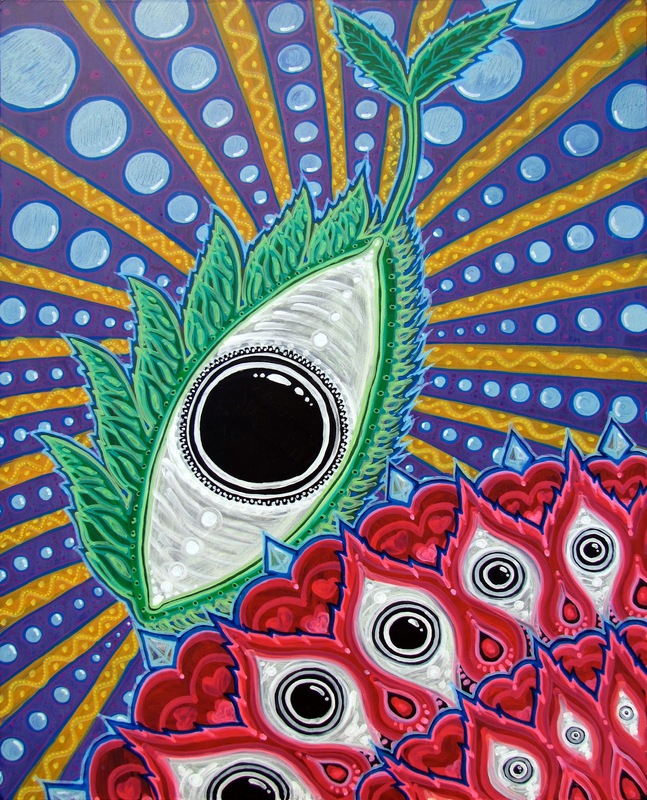 This painting – centered around a classic cosmos-in-eyeball motif that represents the whole symmetrical revelation of the psychedelic experience – shows said divine eye handing down blueprints to seven of the most noteworthy psychedelic substances (LSD, mescaline, MDMA, psilocybin, ibogaine, DMT, and salvinorin A). Tawdry microchip imagery indicates the future. There was so much gold paint on this one, it was essentially impossible to get a suitable photograph...making the auctioned original all that much more special. I still have several of the prints left from this closed series, if anyone cares to pick up a souvenir of this legendary event...the moment when we all first felt it: that first rumbling of the end of a Dark Age. paint markers on masonite - 24"x36"
The day I arrived at the MAPS Conference, I had the ludicrous good fortune to attend a visionary art workshop held by Alex & Allyson Grey. After taking us on a brief history of visionary art from the Stone Age to the Digital Age, Alex & Allyson led us through a few visioning exercises to connect us with the emergent imagery of our effervescent unconscious. This was the first vision that came to me – first the eyes, then the wings, fading into view from the darkness. In order to attract people to my art booth, which was unfortunately around a blind corner at the event, I stood out in the street with Emancipator tinkling out of my battery-powered amplifier and got to work on landing this vision more completely. Layer after layer of refinement ensued...orbs galore crashed the party...I ended up taking this piece to Golden Gate Park with my friend Jessica Perlstein on 4/20 for the infamous Hippie Hill display of conscientious objection, and then to Ukiah for a modest concert at their local brewery. 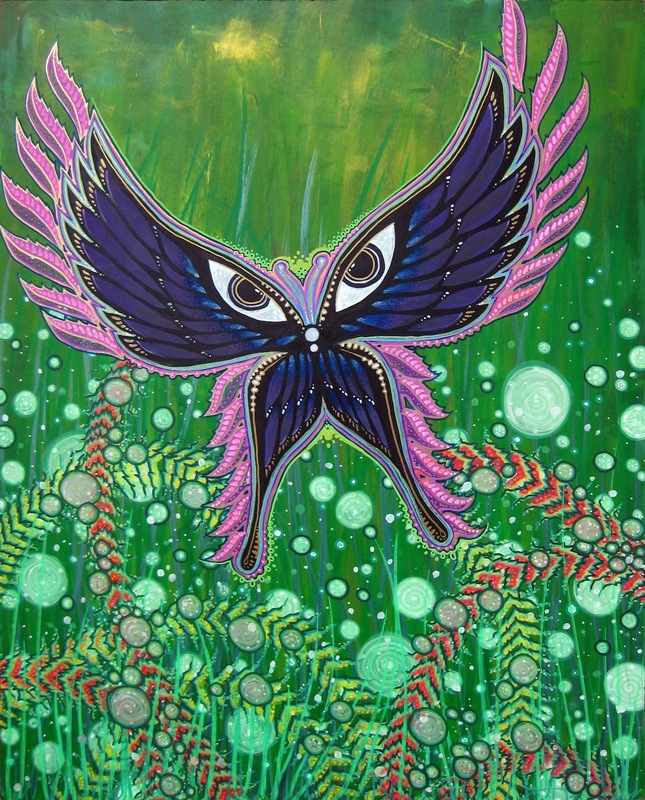 Only well after I had begun did someone remind me that the butterfly is a symbol of transcendence...here, the dividing line between the blissy buzzing mayhem of earthly doing and the open stillness of the living sky. paint markers on cradled masonite - 16"x20"
On April 19th, 1943, Swiss chemist Albert Hofmann embarked on the world's first LSD trip. It was a day that changed everything, forever – a day that, I would argue (and I'm not alone), saved us all from nuclear annihilation and/or 1000 years of suburbia. Believing that he had poisoned himself and was dying, Hofmann rode his bicycle home to die in bed...thus sealing the date to be celebrated each year as "Bicycle Day." On the 67th anniversary of that epic inaugural trip, Alex & Allyson Grey held a special event in the luminous SF nightclub Temple, complete with a brief history of the holiday and a panel on how the psychedelic experience has informed the work of various visionary artists. Over a dozen of us live painters were in attendance to throw in on the celebration. It was a truly magical event – and the painting emerged from an unusually clear and complete vision that I sketched out during Alex's lecture. I was set up near the bathrooms (a wonderful place to be, if you like to catch traffic), and at the end of the night I caught Alex on his way out. He stopped to take this in – the first opportunity I've really had to share my work with him in person – and I explained to him how I'd bitten his "explosive bubbles, flaming eyeballs" style for this piece as an ode and homage. And then the legendary visionary artist Alex Grey called my painting "amazing." I somehow synchronistically booked this gig before coming out to California, only to discover that Om Shan Tea had set up a guerrilla teahouse in the parking lot at the MAPS Conference (and it was the place to be all weekend, for sure). So this is actually my second gig with these lovely people, although my first at their actual location in San Francisco. By all accounts, one of the coolest small venues to be found anywhere. 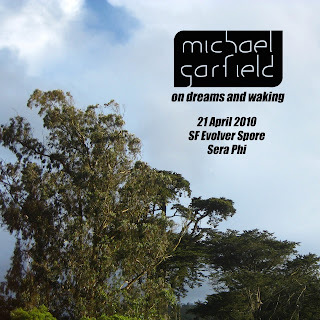 If you have friends out here, herd them my way...this encore performance is set to be one of the most intimate and exquisite yet. This is my second year as the home team live artist for Interstellar Meltdown, a bona fide festival-within-a-festival and one of the most awesome electronic music line-ups anywhere on this continent. Four days of glorious noise in the middle of the Arkansas wilderness, with yours truly taking you on an illuminated tour of the collective unconscious all freakin' weekend. I'm geared up to beat last year's record – painting for eighteen acts in four days – because the line-up is just too good for me to bow out. Come hang with me and guest painter "Tourmaline" Todd Shepherd as we apply vivid color straight to your brain...from where it will leak down into your heart and hips, liberating every darkened cell. The music alone is worth it; but the music won't be alone. I am wildly excited to see everybody out there!